We hear a lot about how so few are surrendering to following Christ radically. Giving up the throne and becoming second seems to be hard for a lot of people. Being willing to listen to God’s directions and doing it regardless of how ridiculous it sounds, is important. We all see people doing it. And, we all want to have that kind of closeness with God. I don’t think it’s so much a matter of people not wanting to live this kind of life, as much as it’s about the mystery. It’s about the unknown. It’s mystical and scary, and there’s no control over the results of our choices. If we went to church on Sunday and got a list for the week….sort of a summary list of turn by turn directions. You know, the kind you get on your GPS where you can see a complete summary list ahead of time of all the turns you’ll make to get to your destination? We can read scripture and see the consequences of some of our choices, but in the day to day, we need to trust God for turn-by-turn directions. 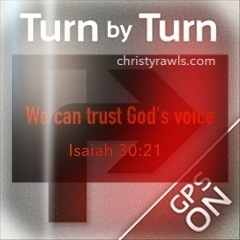 We need to listen to His voice as He says turn here, this is the way. 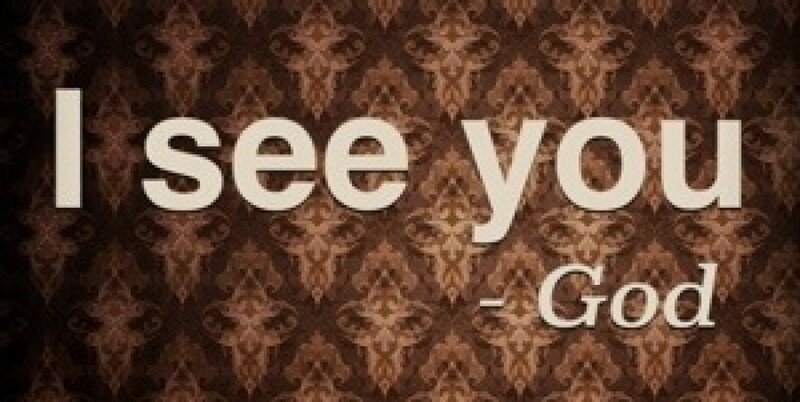 It’s a beautiful thing to be going about your day and hear His directions this way. I’ve never regretted one time of listening to God no matter how crazy it sounded. Not one. Every single time, He had already gone ahead and prepared things for what He has me doing. But, we will always regret not listening and following His voice. The cool thing about God is, He is always working out a solution. Everything He does is a solution. So, when we get off track He is more than willing to “recalculate” our wrong turns and help us get back on the road. God calls on us, we certainly can call on Him. Enter your email address and click the "follow" button to follow this blog and receive notifications of new posts by email. I am a missional Jesus-follower, wife, adoptive Mom, speaker, teacher, writer, encourager, and Director on staff with a global non-profit. My passion is encouraging, equipping and empowering others to be all God has created them to be. I'm not perfect, but I belong to the One who is, and His grace and mercy abounds. God brings me into such sweet adventures and some hilarious ones too. I teach through humor, real life stories, and God’s Word about just how crazy-head-over-heels God is about us. He is for us and wants a thriving, growing relationship with us. Click to Donate to Bella Ministries, a non-profit ministry that I am staffed with that is doing amazing work reaching out to hurting people everywhere. All donations are tax deductible. No donations are too small. You'd be surprised how far $5 would go. If every person following this blog would give just $5 twice, we would reach our goal this year! Come out, come out wherever you are…. Why Is This Friday So Good? So, What Is Palm Sunday?